Beautiful gold plated rays decorate the crown of the Monstrance. An elegantly designed cross sits on top of the Monstrance. 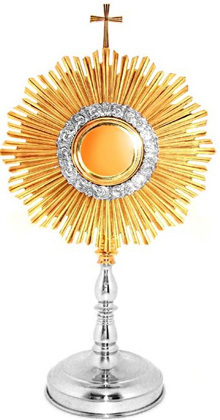 Note:This Monstrance can hold a 2.5'' (6.5 cm) or a 1.1'' (3 cm) diameter Host. Engraving. $0.50 per character will be added after processing. Enjoy free Express Shipping Worldwide with your purchase of a Gamboa Premium Panama Hat. (*) Calendar days from the day the order is shipped. Orders are generally shipped 24 hours after they are received.